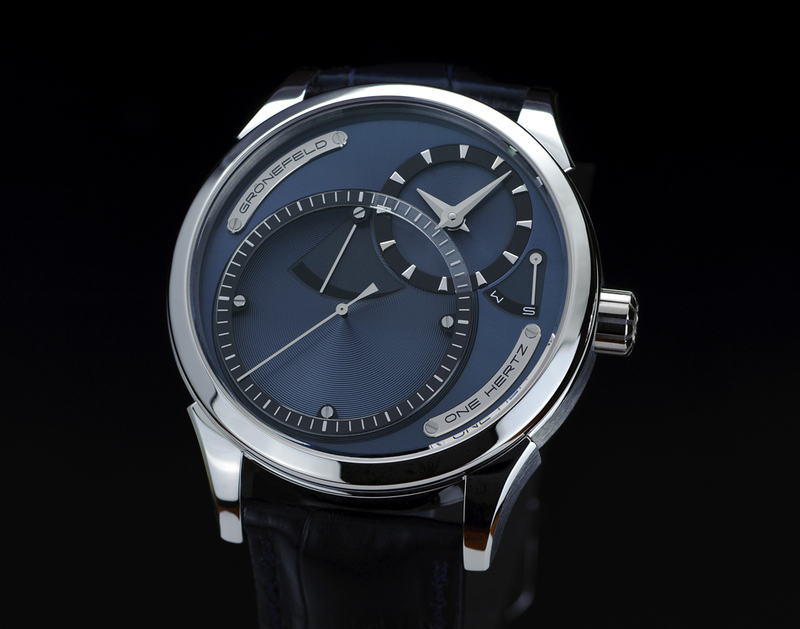 Watchmakers Tim and Bart Grönefeld introduced an exclusive platinum case with cool blue dial for their One Hertz model – the world’s first and only production wristwatch with independent dead seconds. 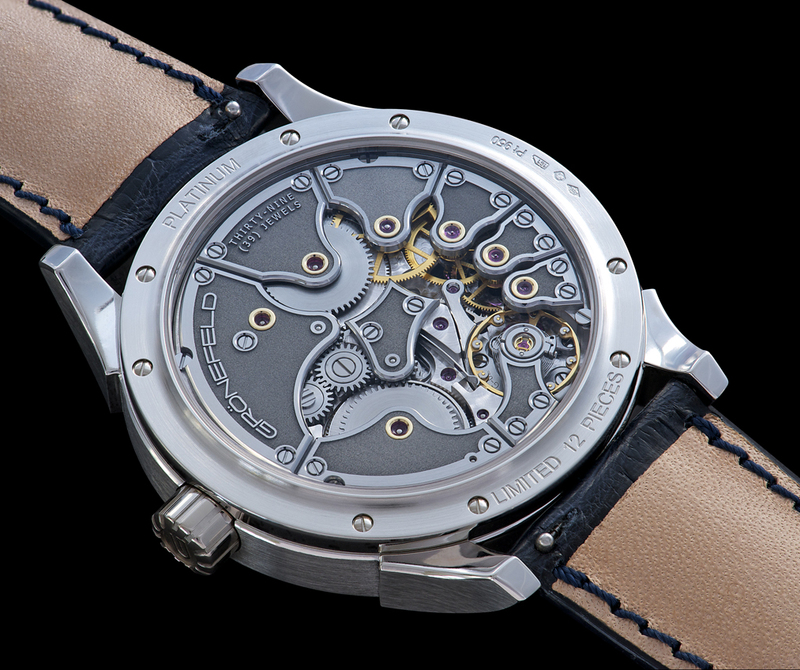 Dead seconds – where the second hand advances in full steps of one second instead of an apparently smooth sweeping action – was a respected mechanical complication until the 1980s. However, its popularity then died with the dominance of quartz movements, which also stepped in full seconds. A smooth sweeping second hand came to differentiate mechanical from quartz. 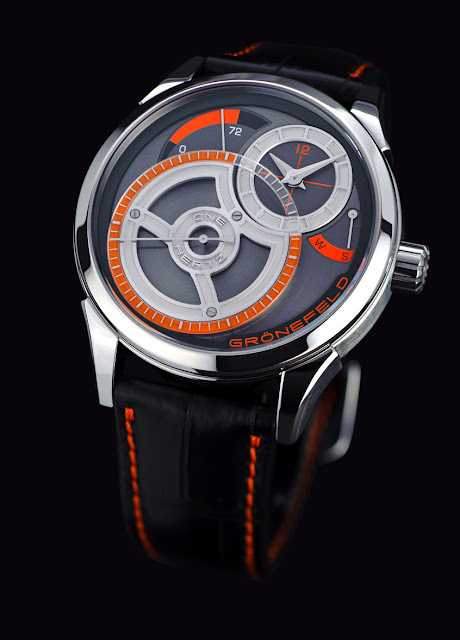 With the One Hertz watch and its unique secondary gear train, Grönefeld has resurrected this long-neglected complication which stands out for the high precision it guarantees. The name One Hertz was used to suggest the “one cycle per second" concept. In fact the Hertz is the unit of frequency defined as the number of cycles per second of a periodic phenomenon. Mechanical wristwatch movements often have balance frequencies of 2.5 to 5 hertz, which results in the seconds hand making tiny steps of 5 to 10 steps each second and looking like a smooth movement. The second hand of the One Hertz is either stationary (dead) or jumping in a full one-second increment each second. Grönefeld used an independent dead seconds mechanism that is driven from its own secondary gear train with its own power supply. The seconds are driven from one mainspring barrel and the hours and minutes from another. Friction is with this system guaranteed to an absolute minimum and the complication has no adverse influence on the escapement and free sprung balance. The two mainspring barrels are wound simultaneously from the crown, which features an innovative “push to set”, “push to wind function”, with the mode selected indicated on the dial at 3 o’clock. A power reserve indicator at the top of the dead seconds dial keeps track of the 72 hours of autonomy. The One Hertz Platinum is available in a limited edition of 12 pieces. 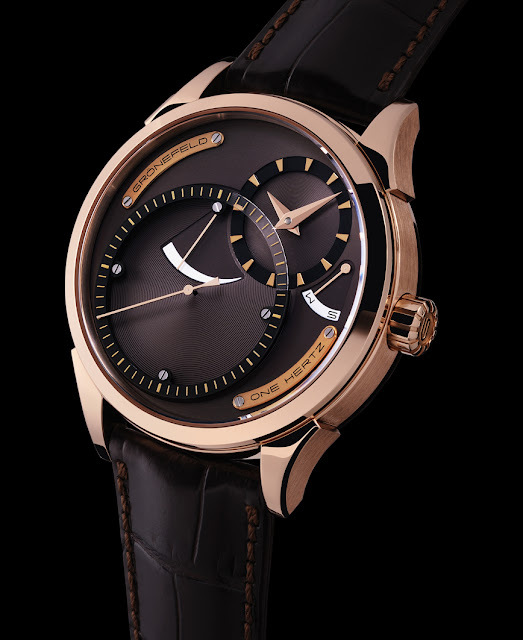 The One Hertz watch is also available in a number of variations in titanium and gold. Case size for all models is 43 mm. 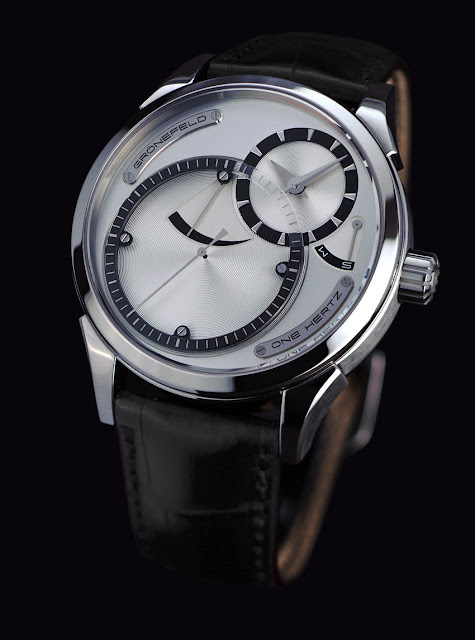 Grönefeld One Hertz Platinum. One Hertz Dune Red Gold. One Hertz Classic Titanium. One Hertz Fire Titanium.